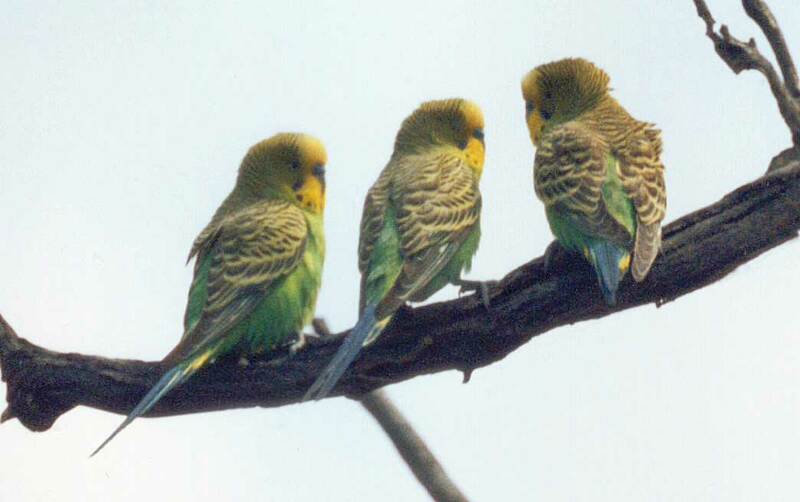 Izabela from Poland has asked me if I have any recordings of wild budgerigars and cockatiels in Australia, because they are her favourite birds. I was lucky enough to be travelling across Australia in 1993 at a time when there had been a lot of recent rain in Central Australia. Travelling through the West Macdonnell Ranges I could hear what I thought was distant thunder but it was the rumble of wings from huge flocks of Budgerigars taking flight while feeding on the seeds of wild grasses. I don’t think I recorded those distant rumbles, but I did get some recordings at nearby Gosse’s Bluff of some Budgerigars that were nesting. It was 8 September 1993, mid-day. 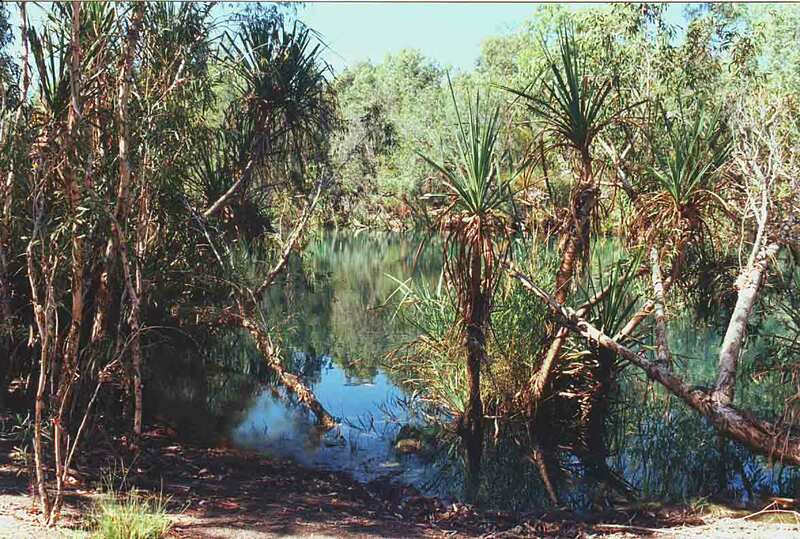 This next recording of Budgerigars was made at the beautiful Gregory River in Queensland, a spring-fed river with clear green water, lined with pandanus and paperbark trees. A flock of about fifty budgies had come to drink at the edge of the river, but they were very nervous and inclined to take flight. You can hear their chattering calls, and also calling are Peaceful Doves and a Grey Shrike-thrush. It was 21 July 1993, around 8 am, in mild and pleasant weather conditions. And this next one is the only recording I have of Cockatiels, a small flock were drinking at a freshwater pool at the East Baines River, in the Gregory National Park in the Northern Territory. It was around 9 a.m., 27 August, 1993. 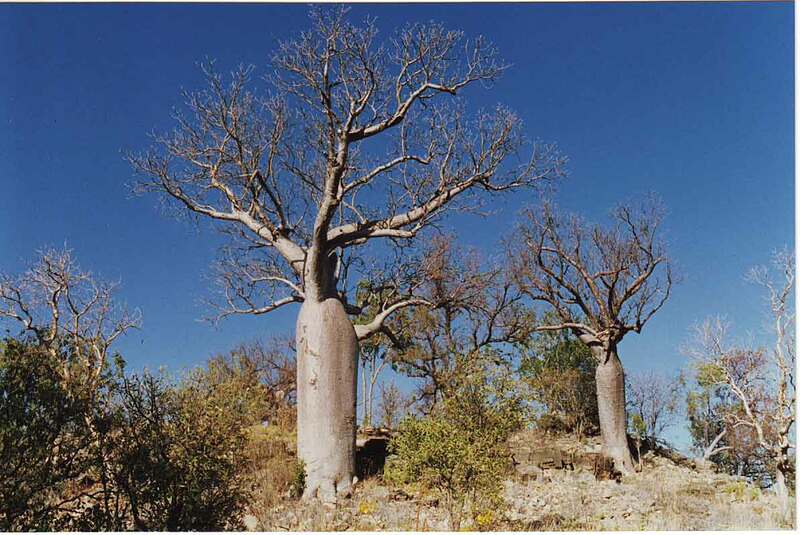 Picture shows boab trees near the East Baines River. Technical details: All these recordings were made with a Sony TCD D10 DAT recorder and a Sony ECM-MS5 one-point stereo microphone. These recordings (and others) have been lodged with the British Library of Wildlife Sounds and also with the CSIRO in Canberra and are freely available for scientific use, but are otherwise copyrighted to me. These recordings are not to be used for commercial purposes without my permission. Page created 2012 and upgraded 5 June 2017.